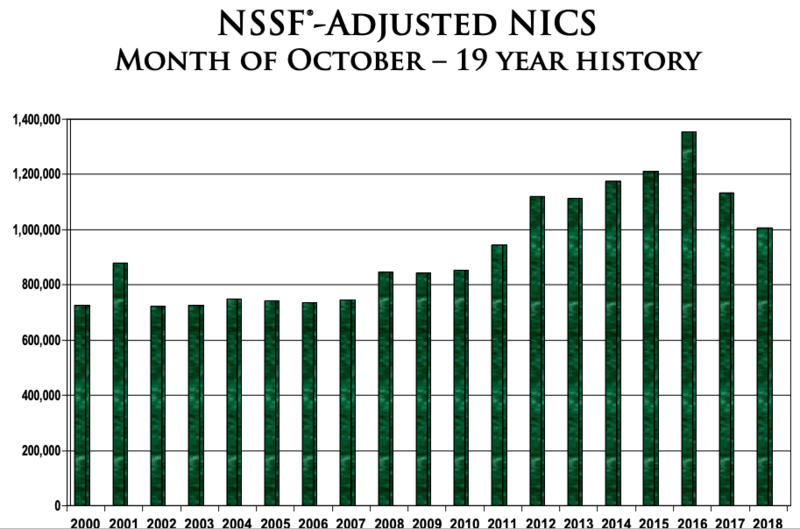 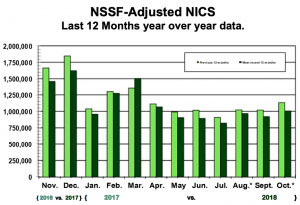 The October 2018 NSSF-adjusted National Instant Criminal Background Check System (NICS) figure of 1 million represented a decrease of 11.2 percent compared to the October 2017 NSSF-adjusted NICS figure of 1.13 million. 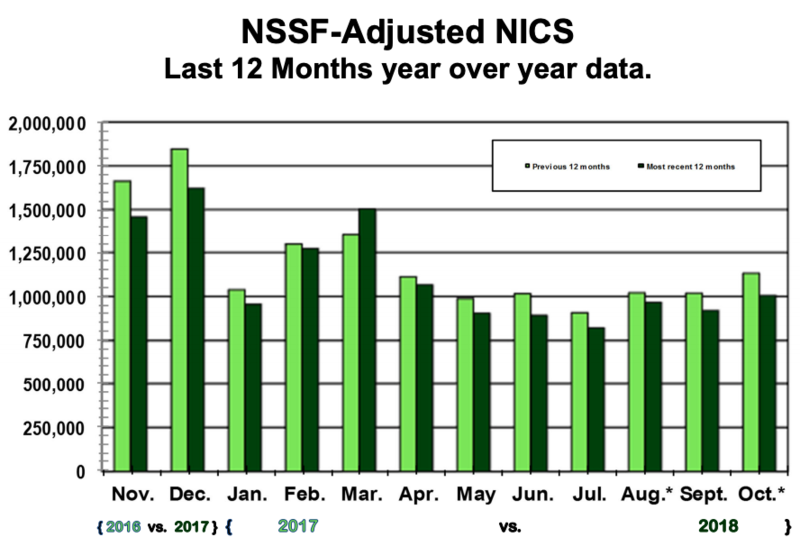 For comparison, the unadjusted October 2018 FBI NICS figure of 2,033,276 reflects a 0.8 percent increase from the unadjusted FBI NICS figure of 2,017,017 in October 2017. 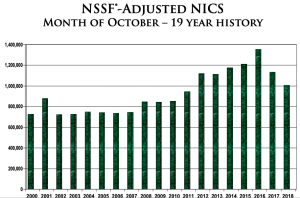 The adjusted NICS data were derived by subtracting out NICS purpose code permit checks and permit rechecks used by states for CCW permit application checks as well as checks on active CCW permit databases. 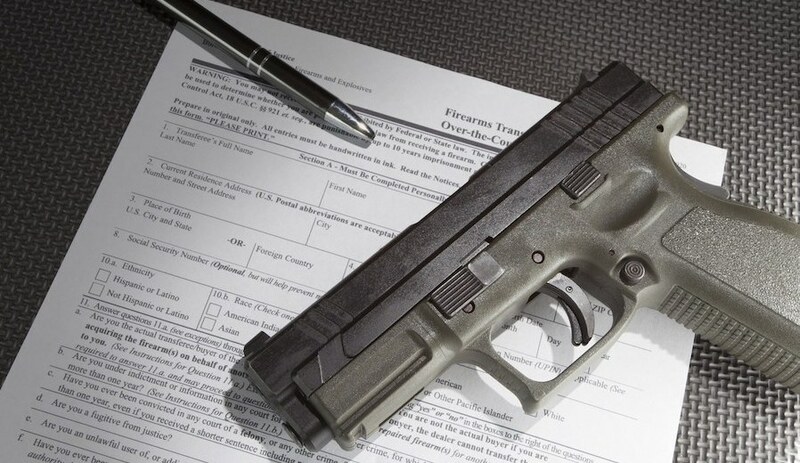 NSSF started subtracting permit rechecks in February 2016.